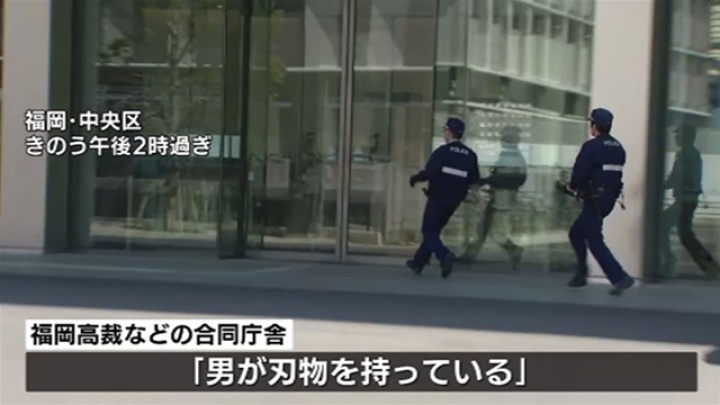 FUKUOKA (TR) – Fukuoka Prefectural Police arrested an 80-year-old man after he was found to be in possession of a knife at a courthouse in Fukuoka City’s Chuo Ward on Monday, reports Kyodo News (Apr. 15). At around 2:20 p.m., Masaharu Matsueda, of no known occupation, pulled a sashimi knife with a 21.5-centimeter-long blade from a plastic box inside an administrative room in the civil affairs division of the Fukuoka District Court. 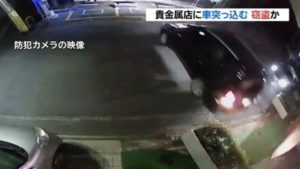 Two staff members then apprehended Matsueda at the scene. Police later accused him of violating the Swords and Firearms Control Law. “If an agreement with the court was not reached, I intended to do an act of self-mutilation,” the suspect was quoted by police. The government building housing the Fukuoka District Court is also the location of the Fukuoka High Court. At the entrance, there is a security check point that includes an X-ray machine and metal detector. “I wasn’t stopped at the entrance,” Matsueda was quoted. In addition to attempting to determine how Matsueda entered the building with the knife, police are also checking inspection system. “After confirming the facts, we will deal with the matter appropriately,” a representative of the Fukuoka High Court was quoted.